It is easy to get stuck in an organizing paralysis with recycling. Getting behind with recycling can lead to lots of organizing challenges. For Kingwood and Houston residents, there are easy and convenient ways to recycle e-waste and BOPA materials! Goodwill http://www.goodwillhouston.org/ has a special program with Dell called Reconnect http://reconnectpartnership.com/ . Goodwill accepts any brand of used computer equipment in any condition and anything that can be connected to a computer; monitors, printers, scanners, hard drives, keyboards, mice, speakers, cords & cables, software, Microsoft Xbox, Microsoft Zune, Microsoft-branded Webcams, etc. They will pick these items up from your house along with any other household donations or you can drop them at one of their convenient locations. Best Buy will accept ALL electronic waste (no more than three per visit) including monitors and TVs up to 32″ (they charge $10 for a TV but give you a $10 gift certificate in exchange). Styrofoam chips and even blocks can be brought to most UPS, FedEx or Mailbox stores. They reuse them for their packaging. Leftover useable paints can be given away on Freecycle http://groups.yahoo.com/group/Humble-KingwoodTXFreecycle/ Small amounts of paint can be dried out and then put in your trash. CFL Bulbs and regular fluorescent bulbs are recycled at Home Depot or Lowes. Rechargeable batteries can be recycled at many hardware, electronic, and department stores (Alspaughs, Sears Hardware, Best Buy, and Radio Shack). You can also recycle your old cell phones at Alspaugh’s Ace Hardware for the benefit of Keep Kingwood Green. 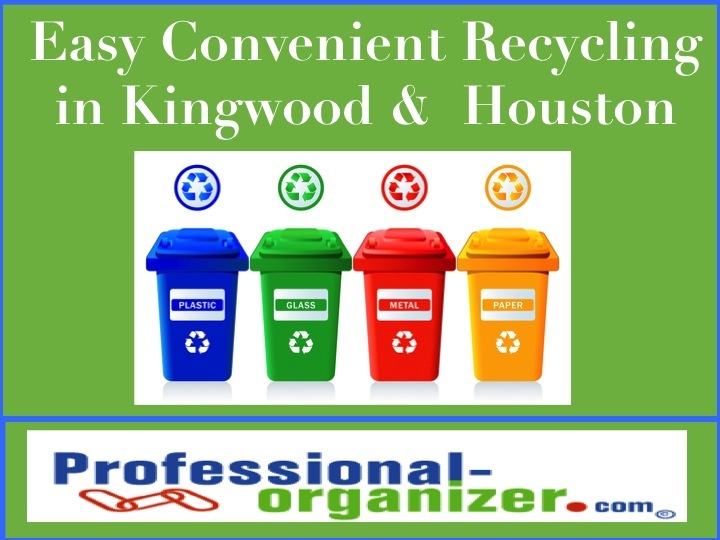 Used Motor Oil can be recycled at O’Reilly Auto Parts, 3219 W Lake Houston Pkwy in Kingwood (next to Walgreens). All other Hazardous Waste (fuel, pesticides, chemicals, etc.) can be brought to the North Environmental Service Center (713)837-9137 (713)837-9137, located at 5614 Neches, Building C. It is open to Houston residents only, every 2nd Thursday of the month from 9 a.m. – 3 p.m. Harris County residents can take them to the Harris County site listed above. Want more ideas? Visit earth911.com. 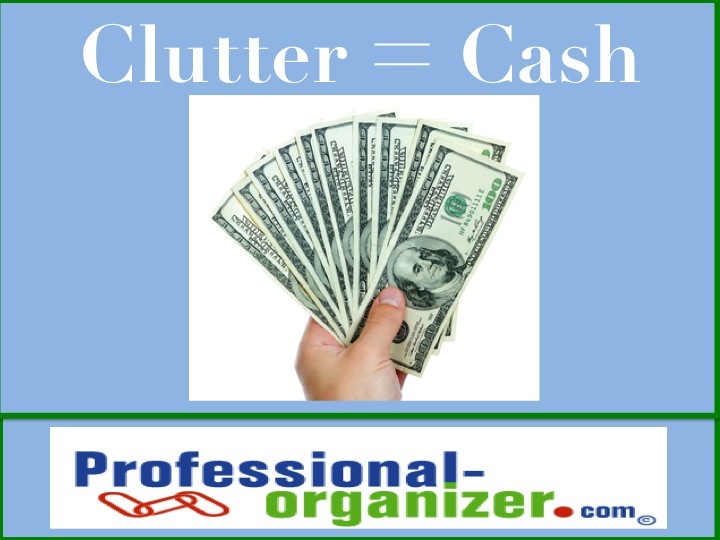 Time to change your clutter into cash! Lots of families are making some extra change with decluttering and selling their items. Post your item on an online garage sale, like KingwoodYardSales.com or TheWoodlandsonline.com. Be part of your community garage sale that occurs annually. Find an association for the items you are selling and find a buyer. Our family sold a paperweight collection with the assistance of the Texas Paperweight Association. Local consignment shops for all sorts of items are in our communities, including shops for clothes, toys, and home decor. Use Gazelle.com, a trade-in and recycling firm, that helps sell all sorts of items, from cell phones, laptops and tablet computers to digital cameras and video gaming consoles. Sell your used cell phones to www.cellforcash.com to get top dollar for your used phone. Half Price Books will purchase your used DVDs, CDs, and books. Find a local estate sale company to sell big items, or even a whole house of clutter. What other ways have you turned your clutter into cash? I am often asked where to start organizing in a home or office. It just takes starting in a small spot. Here are 5 you can start in to feel successful and motivated. Car glove box! You can easily clean out receipts, old insurance papers and other odds and ends. Silverware drawer! It gets a little crazy sometimes getting utensils back in the right slot. Take a few minutes to sort and clean out. Sock drawer! There are just too many socks sometimes. Match up the socks, and toss the rest. Be brutal! Top drawer of your desk! We just slip papers in there, just too easily. Spend a few minutes tossing what is old, unused or broken in there, decide what really belongs in this space, distribute the rest, and then you are more productive than ever. Email inbox and processed folder. You don’t have to keep all the emails in your inbox. Add a subfolder called “processed,” “read,” or whatever you what to name it, for the emails you have read and want to keep. Keeping your inbox just for incoming mail will be more effective and efficient. 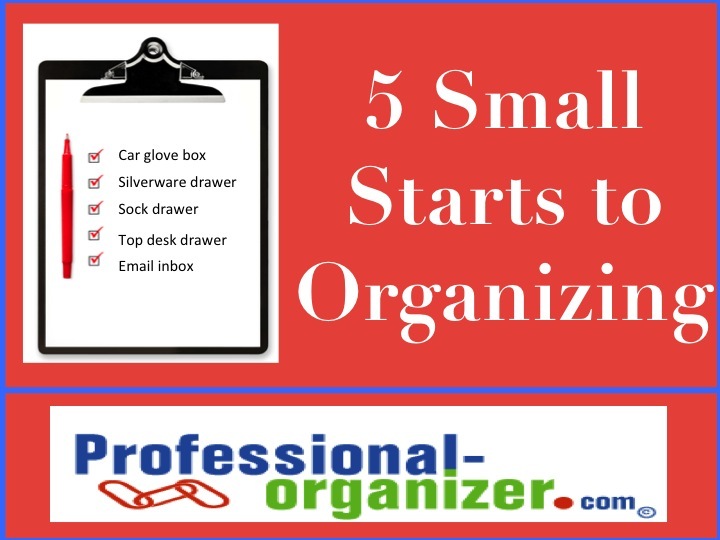 What small stuff do you do to get organized? Need an organizing boost? Get my newsletter monthly!